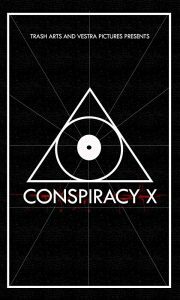 Conspiracy X is an anthology with documentary style footage and short horror films based on Global conspiracy theories. I made a segment for this: "Operation: Fist of God" about how Russians brainwashed and planted fundamentalist Christian leaders in the US in the 80s to destroy progress & undermine political freedom. My film includes a history of the operation and a small bit of recovered hypnosis / mind control film from it. Carve your Pumpkin this TROMAWEEN with the World Premiere of "Conspiracy X"
Troma Now proudly presents A documentarian is asked to meet a whistleblower leaking the truth of some of the worlds most dangerous conspiracies, but is everything how it seems? From the Illuminati to satanic subliminal messaging, the whistleblowers open up there world, or does he? From Trash Arts and Vestra Pictures. Previous PostClickbait opening film at Sanford International Film Festival, won Best Music!